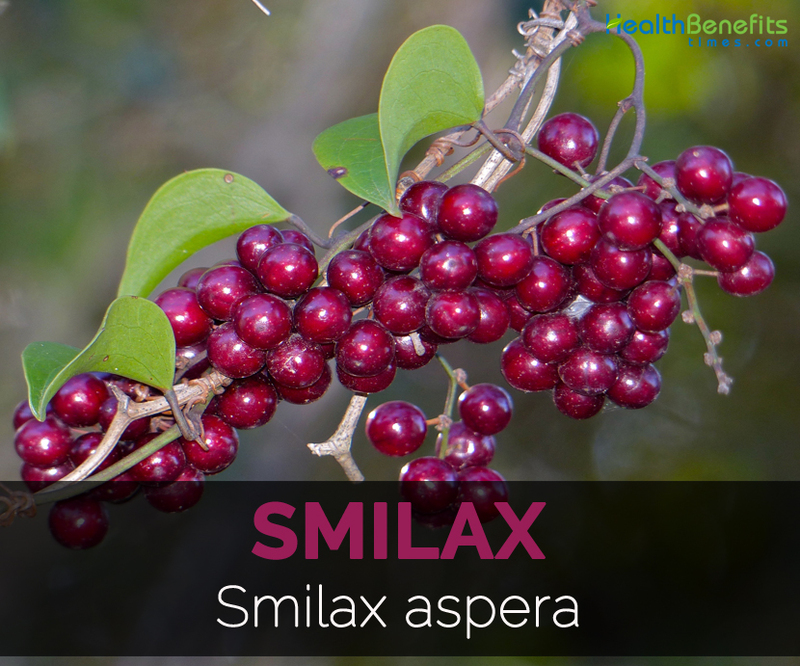 Origin The plant of Smilax is cultivated on the banks of Magadalena which was collected in 1805 by Humboldt. It is known as Sarzaparilla by the native people. It was sent to Jamaica and Carthagena. 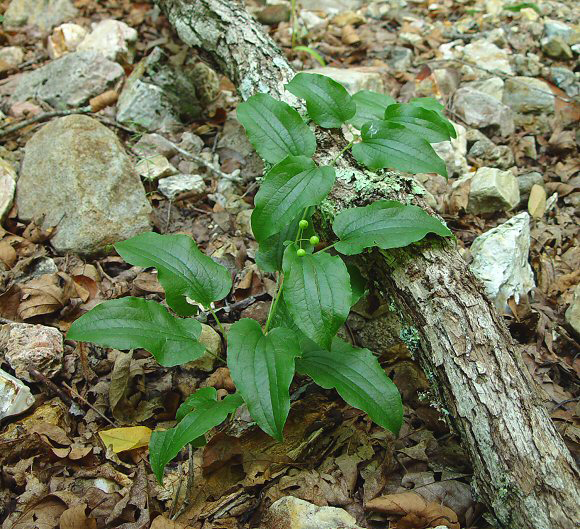 Smilax aspera is a perennial, evergreen vine along with prickly stems. Common smilax, Rough bindweed, Sarsaparilla, Mediterranean smilax, Prickly-ivys, Catbriers, Greenbriers, Wild Sarsaparill, Smilaxes, Rough Bindweed, Prickly ivy, The Common Smilax, Rough Smilax, Italian Sarsaparilla and Mediterranean Smilax are the common names of Smilax. 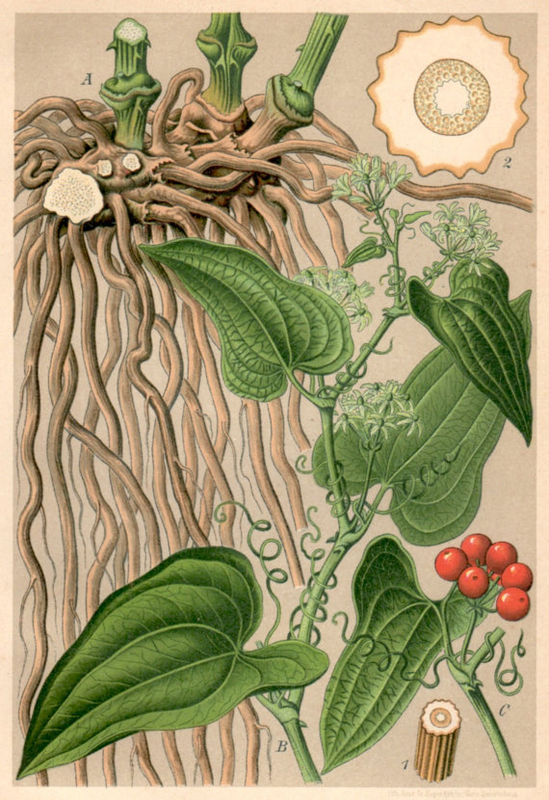 The plant of Smilax is cultivated on the banks of Magadalena which was collected in 1805 by Humboldt. 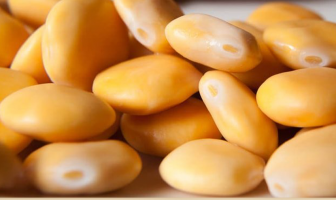 It is known as Sarzaparilla by the native people. It was sent to Jamaica and Carthagena. The stems are flexible and delicate with sharp spines. It bears flowers from September to November. The deciduous plant grows upto 1-4 meters (3 ft. 3 inch-13 ft. 1 inch) long which lives upto more than two years. The leaves are 8-10 cm (3.1-3.9 inch) long, alternate, heart shaped, toothed with spiny margins. It bears small fragrant flowers and its color ranges from yellowish to greenish. Fruits are globose berries that measures about 8-10 mm (0.31-0.39 inch) in diameter, 10 mm long and 7 mm broad. The berries are usually red or black. Each fruit bears one to three tiny and round seeds about 4 mm long in dark brown or black color. 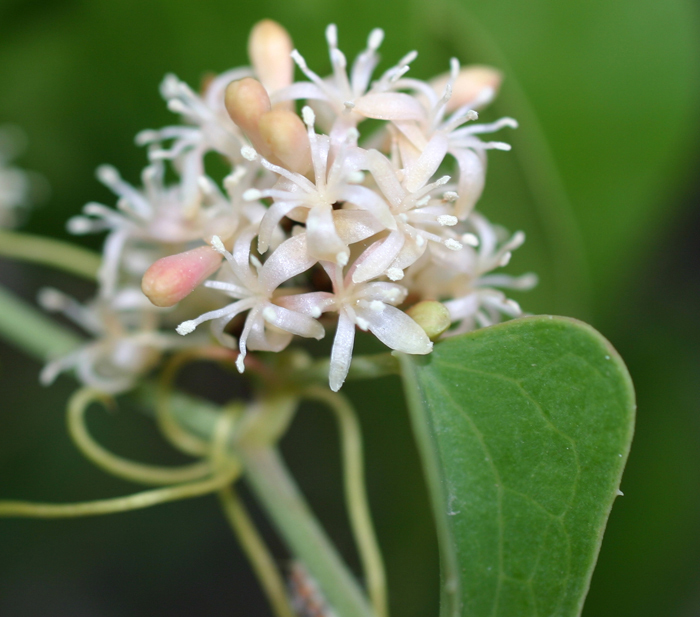 Smilax is the member of the lily family which is used for medicinal uses. It is used as an aid for health problems such as skin ailments and syphilis. It helps to purify the blood. It lowers the toxins in the body. The roots and berries have various health benefits. It could be added to the diets in the form of tincture and teas. It could be added to the stews, soups, drinks, desserts and supplements. The root is considered to be depurative, demulcent, alterative, diuretic, diaphoretic, tonic and stimulant. The application of ripe fruits to the skin helps to treat scabies. It is useful for skin ailments, muscle relaxation, rheumatic pain and considered to be diaphoretic, diuretic, dropsy and depurative. 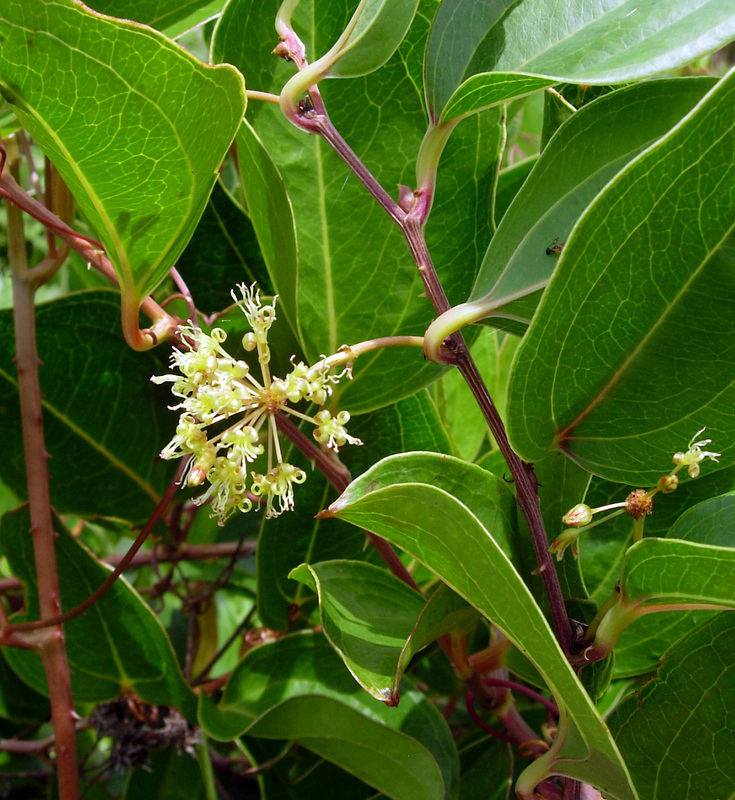 In South and Central America it is used to treat skin ailments, rheumatism, sexual impotence and physical weakness. In Honduras and Peru, it is used to cure joint pain and headaches. It is used to purify the blood and cures gonorrhea, syphilis, gout, wounds, rheumatism, fever, arthritis, hypertension, scrofula, cough, psoriasis, cancer, hypertension and skin diseases. It helps to cure rheumatoid arthritis, kidney disease and promote sweating. It treats syphilis and leprosy. In traditional medicine, it is used to treat flatulence, skin disorders, cognitive ailments and senile dementia. The diabetic and kidney patients should not use it in high amounts. 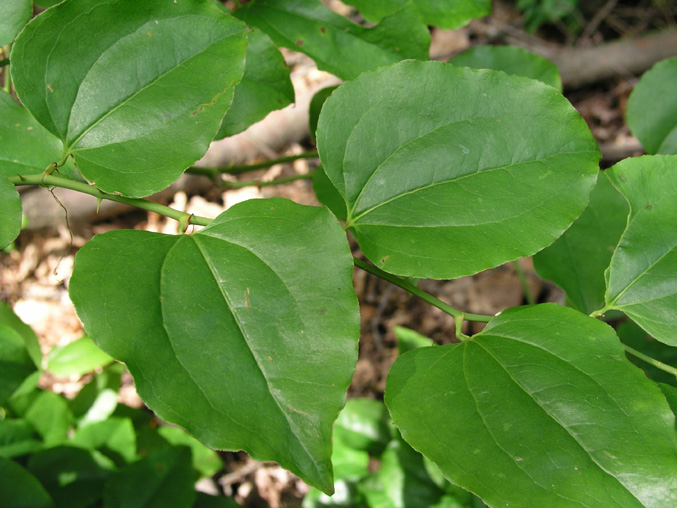 The allergic people should avoid the use of Smilax. The roots are added to soups and stews. The young shoots are consumed raw and cooked like asparagus. The berries are consumed raw as well as cooked. The tendrils could also be consumed. It is used as an ingredient in soft drinks. The stem has strong and sharp spines. The leaves are glossy and arranged alternately on the stem. Roots are used for the production of soft drink and beer. 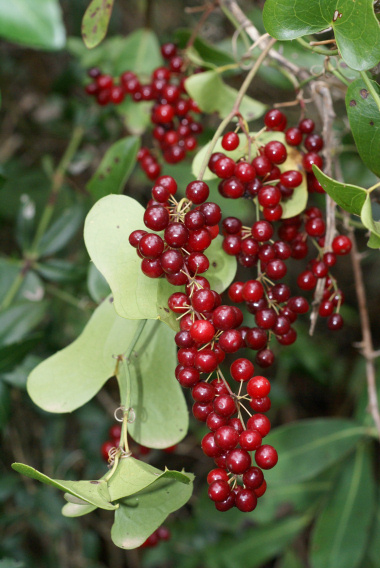 About 40 types of birds use Smilax as a food source. Rabbits and white tailed deer use leaves of Smilax as a food source. Beavers eat root and black bears eat berries. The upper part of the plant can live upto 2-4 years. Smilax aspera subsp. mauritanica (Poir.) Arcang. Smilax mauritanica subsp. vespertilionis (Boiss.) K.Richt. Smilax mauritanica var. vespertilionis Boiss. Smilax mauritanica Webb & Berthel. Smilax nilagirensis Steud. ex A.DC. Smilax rigida Sol. ex Sm. Smilax sagittata Desv. ex Ham. Calories 100 K cal. Calories from Fat 8.55 K cal.